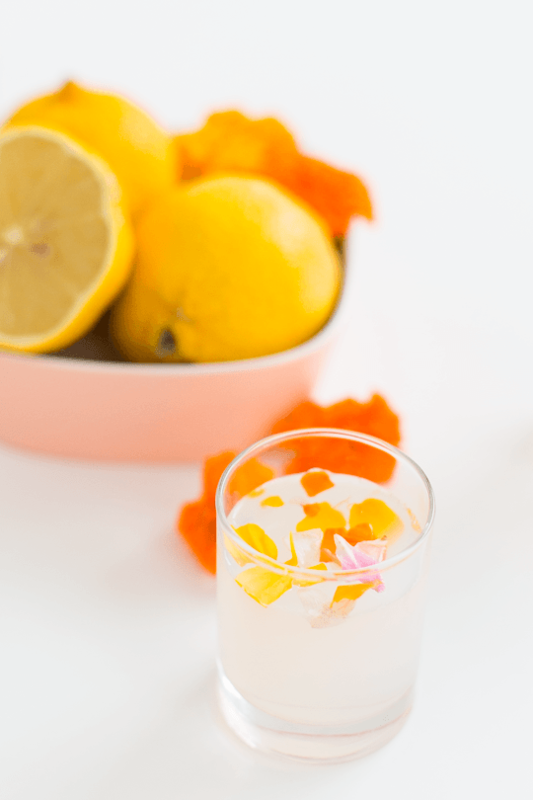 Sometimes there's no time for sipping... sometimes you need your summer cocktail as a shot! There's nothing better or more civilized than sitting around on a nice summer night, sipping on delicious fruity cocktails with friends. But every once in a while, after a particularly long week, there's simply no time for civility. Lucky for us (and hence, you! 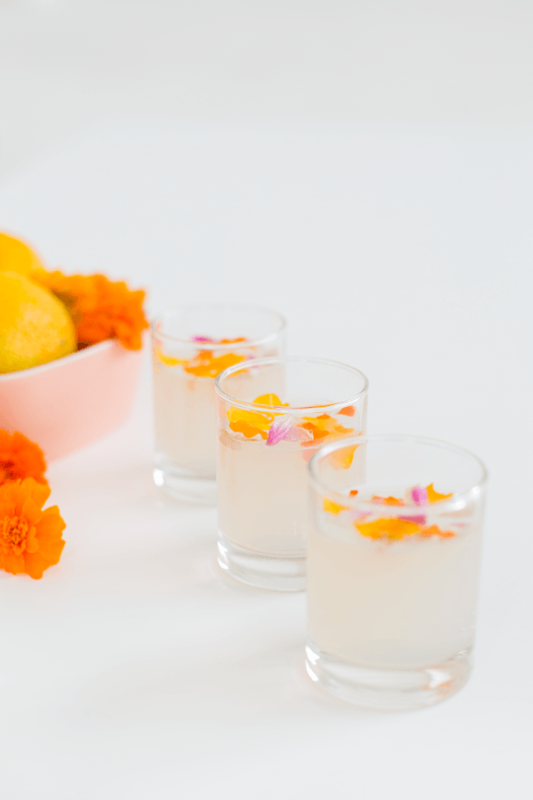 ), the adorable Sugar & Cloth has offered up the perfect solution: Lemon Jello Shots. 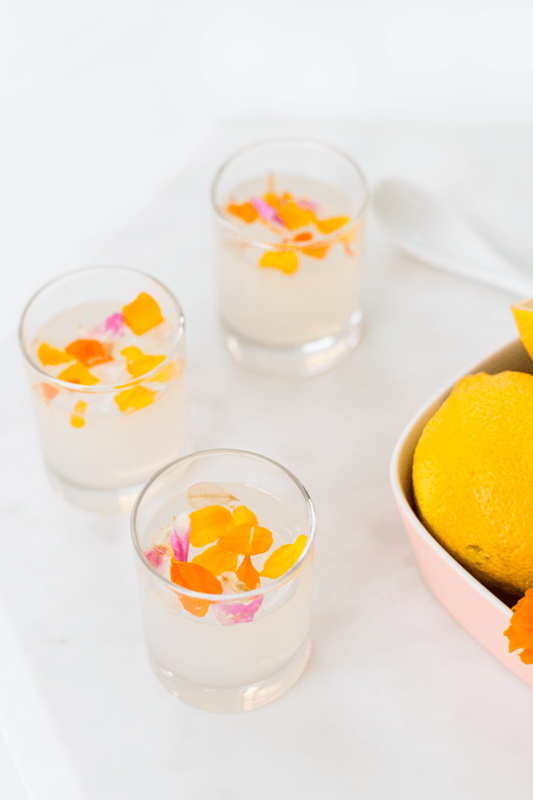 These lovely little summer refreshments are not only the most delectable way to get your weekend started right, but they're also a delightful and upscale way to relive your college days. Oh yeah, and they've got flowers on top, so they're right up our alley! 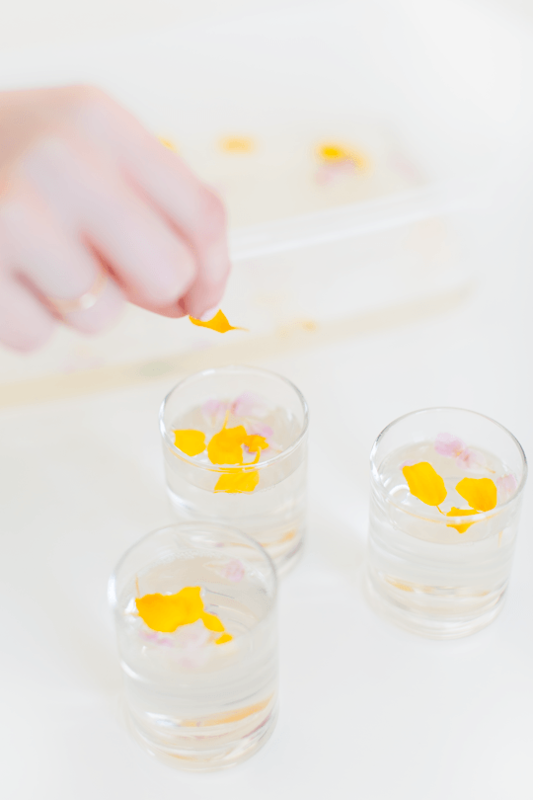 You can also always skip the shot glass version for a parfait dish or traditional 8×8 pan and then cut into mini square bites to serve. And you can, of course, always make these non-alcoholic and use water in place of the vodka and Cointreau... but, really, why would you?! 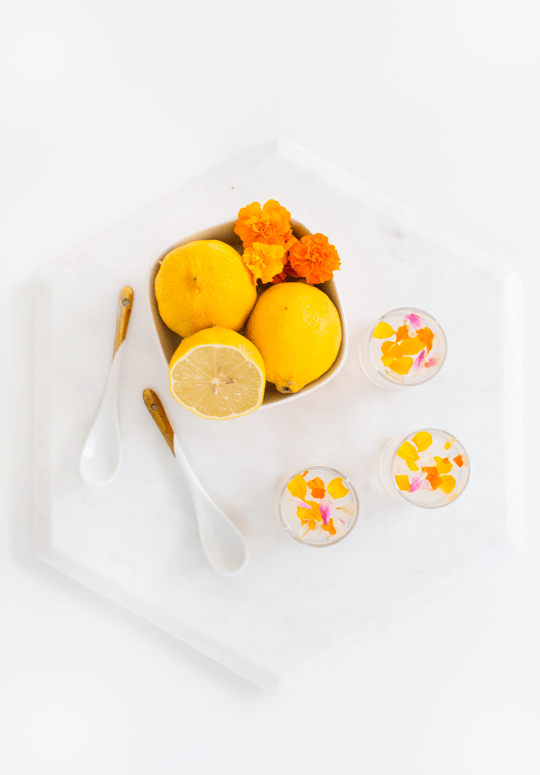 So there you have it, friends - the latest edition of our Summer Botanical Cocktail series! Another huge thanks to Sugar & Cloth for the recipe and gorgeous photos. If you haven't been following along, be sure to check out our earlier posts about Rosé Slushies, Lavender Martinis, and Bellini Popsicles.